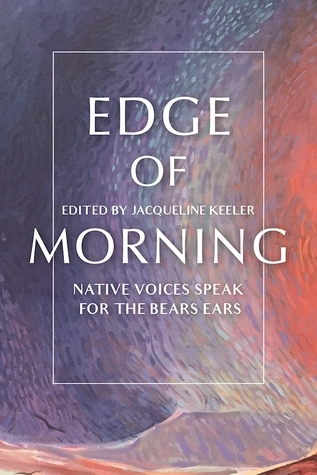 An anthology of potent words and story by eighteen Native writers who champion the protection of the Bears Ears area. 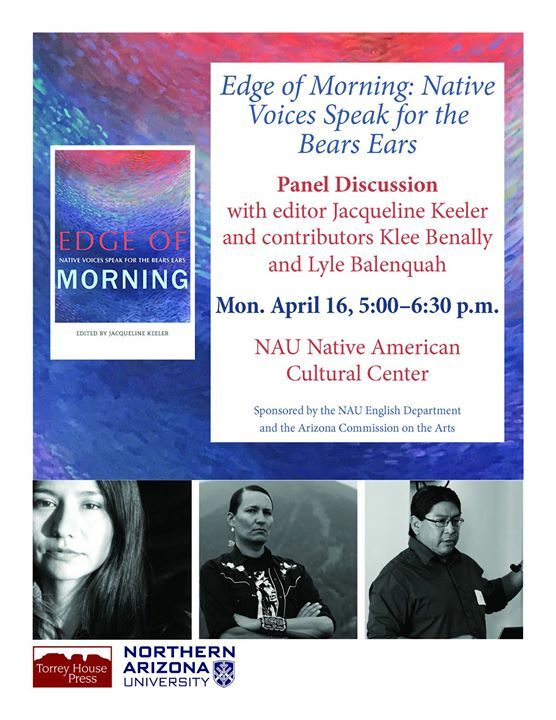 Chapter contribution, "The San Francisco Peaks and the Politics of Cultural Genocide." Department of Agriculture (USDA) issued his final report on sacred sites and an inter-agency memorandum to work towards sacred sites protection, the US Forest Service, which is managed by the USDA, filed Federal charges against myself and three others. I was held for five hours in a Federal holding cell in Flagstaff, Arizona with my feet shackled, a chain around my waist, and my wrists handcuffed to links in that steel chain. 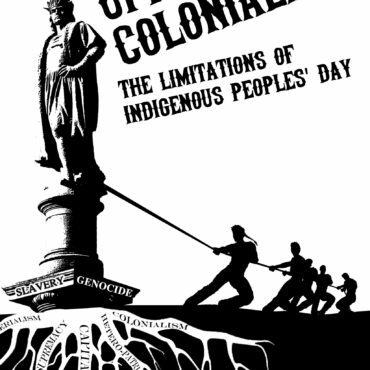 Arizona managed as public lands and held holy since time immemorial by more than 13 Indigenous Nations. It seemed to be no coincidence that two weeks after our arrests the privately owned Arizona Snowbowl, was set to become the first and only ski area in the world to make snow from 100% treated sewage. Do'okoosliid, more widely known as the San Francisco Peaks, are one of 6 holy mountains in Diné cosmology. The Peaks represent one of four pillars that uphold our universe. They are home to deities, an offering site, and a place where we gather herbs that cannot be gathered elsewhere. They are integral to the existence and wellbeing of Diné. I grew up learning of the unique relationship that we have to this holy mountain from my father, Jones Benally, who is a recognized traditional medicine practitioner and Arizona “Living Treasure.” As an extension of these teachings and ceremonial practices, a major part of my life has been focused on education and building awareness to the environmental and social conflict regarding the Peaks and seeking protection of this holy place. Most conspicuously I’ve done this volunteer work through helping to establish the Save the Peaks Coalition, directing a feature documentary about the issue, and supporting an ongoing direct action campaign called Protect the Peaks."